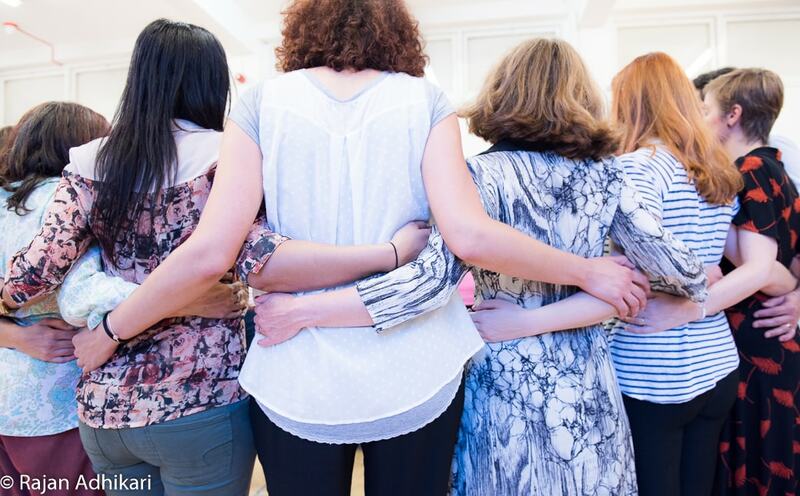 At ExpatWomen at Work we like to offer concrete help to our members whenever possible. This time the occasion was my birthday, which I chose to celebrate in London. I invited Laura, an Italian biodanza teacher in London and member of ExpatWomen at Work, to give a biodanza session for my birthday. It was an opportunity for her to showcase her work and to get in touch with new potential participants to her biodanza courses. The concept is simple: We invite members of the community of Expatclic to participate in a live event, where one of our members has the opportunity to showcase her work, product or service. We did it in March, when I was passing by Paris, and Claudia Mattana invited us to a short Pilates session to show us how her Pilates Mama project works. For my birthday in London, I asked Laura, member of ExpatWomen at Work, to organise a biodanza session. 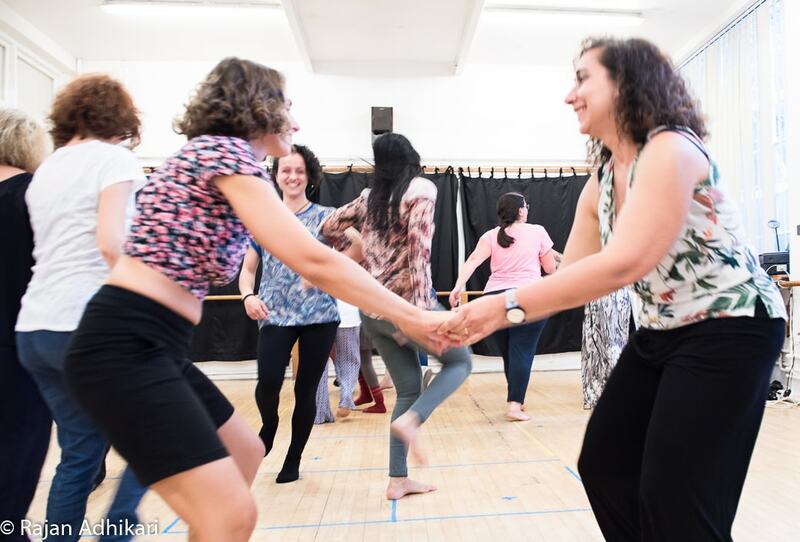 Biodanza is a fantastic way to be together, a joyful group discipline that contributes to create strong bonds in a group while balancing the individual’s inner spheres. Of course a teacher is needed, and Laura was just the right person for that. She is a certified biodanza teacher, who did her training in Brasil, where biodanza was born from an idea of Rolando Toro. 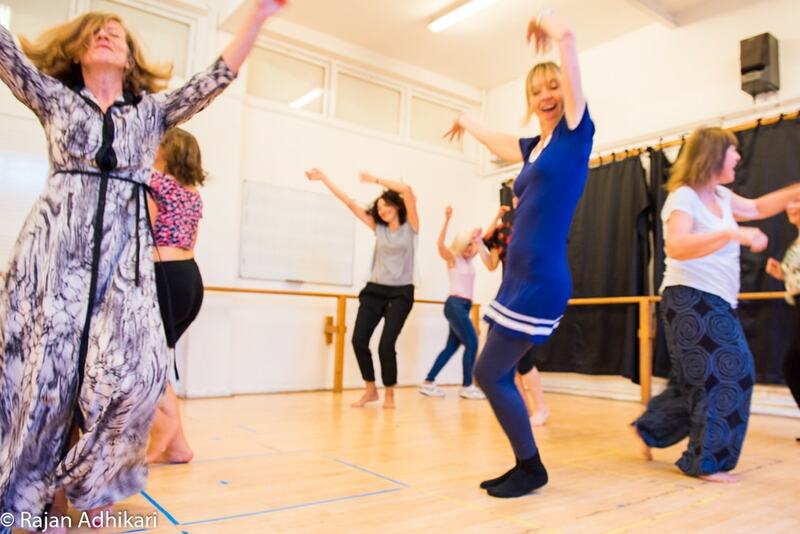 Since Laura relocated to London, she has been striving to maintain her biodanza courses in such a big city where she hardly new anyone when she arrived. Recently, many of the participants to her course had to leave, and the group suffered from that. 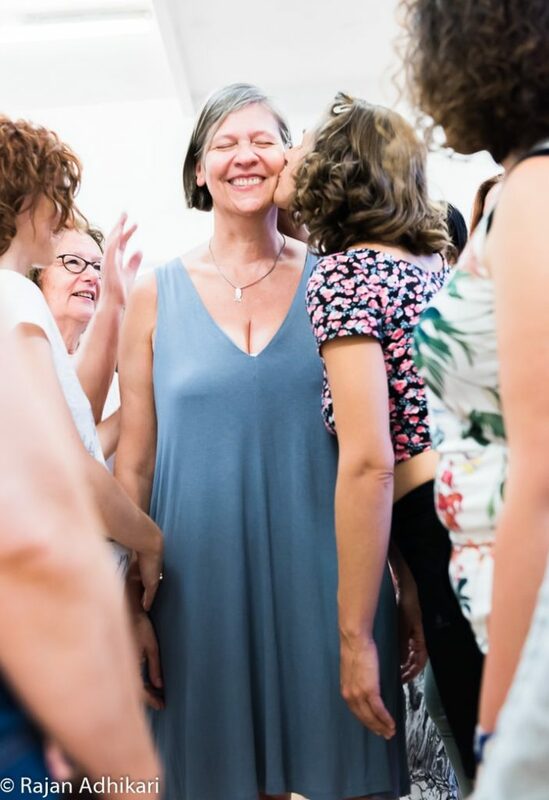 I thought meeting for my birthday would be a great occasion for Laura to show new friends what biodanza is, in a relaxed and warm atmosphere. We had a good turnout and all deeply enjoyed the session. Many of the participants were Expatclic’s members and supporters, some were friends of mine and others came from Laura’s circle or had simply heard about the event and joined to find out more. Laura is a skilled and enthusiastic leader, and it is obvious that she has a long experience of biodanza courses. She chose to focus the session on mobile life and adaptation, and it was fun and interesting to do exercises that showed us what it means to adapt (or not to adapt 🙂 ) using dance. We happily danced like crazy, and did fun exercises that helped us understand what it means to open up to difference and to the others. We danced in circles, in pairs, alone. We celebrated my birthday and the beautiful community of Expatclic. It is never easy to keep on a career that requires such a strict contact with individuals in a new place, when you don’t know anyone. We want to do all that is possible to help our wonderful expat ladies thrive in their professional activities, especially if they relocate to a place where they have to start from scratch. We hope this kind of events can help them enlarge their circle of contacts in a spontaneous and friendly way. I am sure Laura has been appreciated by the participants, and strongly hope she will be able to create a new group in September, and be fulfilled in the work she loves so much, making people happy with such an amazing discipline. You can get in contact with her through her profile, here. A heartfelt thank you to those who participated in the event.